By now, there’s a good chance you’ve read all the announcements, seen the screenshots, soaked up the gameplay, and tuned in to the early livestreams. Now it’s your turn to finally dive into ONRUSH for yourself – the all-new racing IP from Codemasters, developed by the former Evolution Studios team who created DRIVECLUB and MotorStorm. 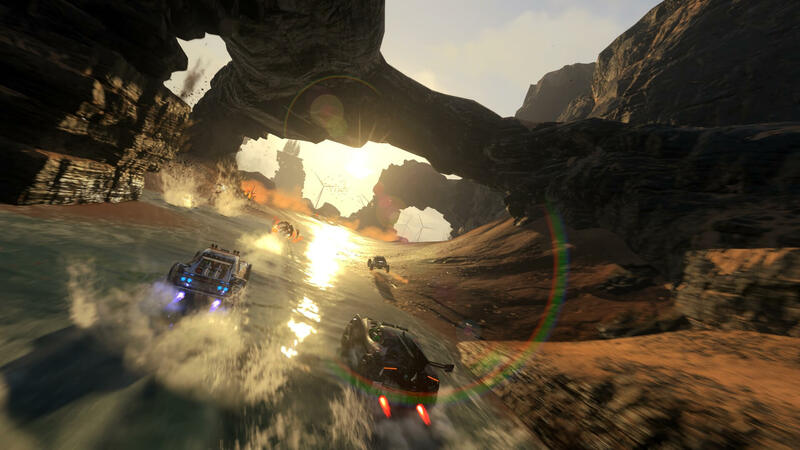 As a spiritual successor to the latter of the pair, ONRUSH is an arcade racer that throws you into dramatic 6v6 racing battles where team-play is essential. To compliment the release of the Open Beta, available now to all Xbox One and PS4 owners worldwide, the team at Codematsers have released a takedown-focused gameplay trailer for ONRUSH that invites players to join in the action of the Open Beta. No pre-order, no sign-ups, nada. Simply download it today from either the Xbox Store and PlayStation Store – or if you’re like me, both – and team up, fight hard and join the stampede! In ONRUSH, it’s critical to the success of your team that you work well together. By fusing different vehicles, play-styles and roles, you can maximise your chances of victory. Timing your attacks right and figuring out the best places to defend your teammates will ensure that your opponents don’t stand a chance. However, if you time it all wrong, you might be having a little time out – but don’t worry, if you aren’t in a vehicle class that you’re happy with, you can swap before you respawn! 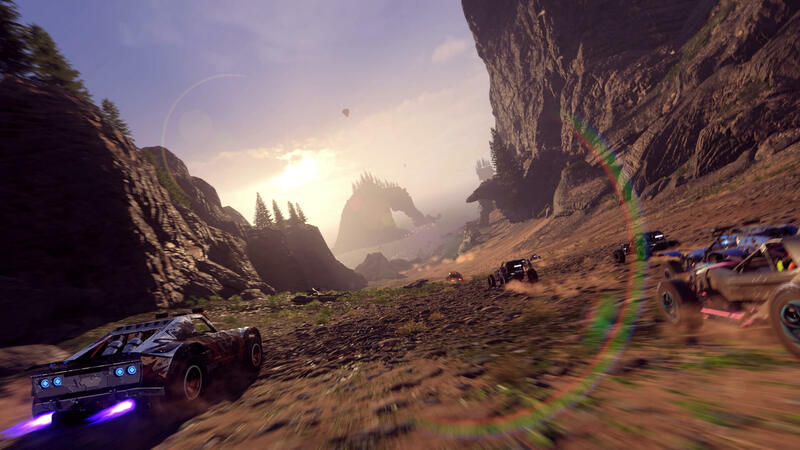 In the beta, there’s a choice of four vehicle classes; ‘Blade,’ ‘Vortex,’ ‘Interceptor,’ and ‘Titan.’ There’s also two unique modes in the form of ‘Overdrive’ and ‘Countdown,’ as well as two dynamic tracks, including ‘Big Dune Beach’ and ‘Crater Lake.’ These feature a variety of weather conditions and different times of day, and you’ll notice them cycled throughout the beta. In addition, Photo Mode is also included in the ONRUSH Beta, and it’s exclusive to the ‘Superstar Practice’ mode when playing in solo. This mode allows you and your friends to practice and improve your skills against AI competitors. For a full rundown of the content featured in the ONRUSH Beta, be sure to check out our detailed guide that discusses the modes and maps included. As for the vehicle classes and their abilities, traits, and unique features, don’t miss our previous coverage. For those who’d like to know even more on ONRUSH, be sure to check out our exclusive preview including our hands-on impressions, as well as our gameplay capture from the Xbox One X version of the game, which features two distinct modes – 4K resolution and 60FPS. We also recently learned about the Achievements and Trophies that will be featured in ONRUSH, in addition to the Tombstones which boast unique designs inspired by the community.